In the last few years, collecting and storing endpoint and network security event data has become an inexpensive task for organizations of all sizes. Buying extra physical hard drives or increasing the storage capacity of a server in the cloud is now more affordable than ever. 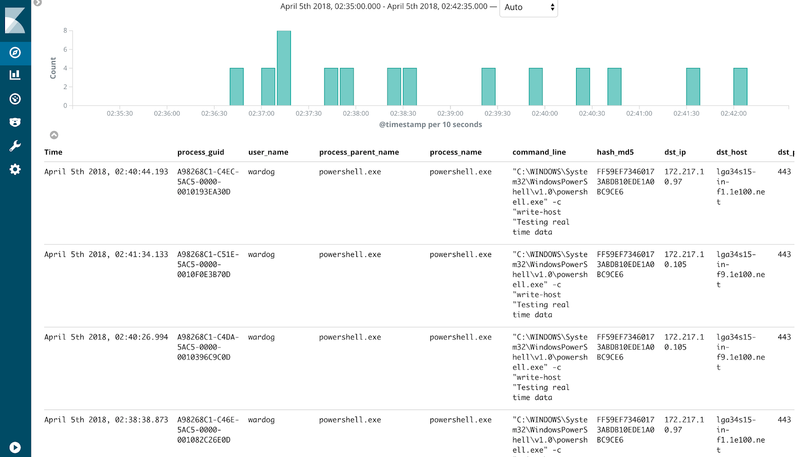 Nowadays, it is common to see organizations even trying to collect every single log available across their enterprise in case it is needed for extra context during an investigation or simply just to monitor the functionality of key applications. This concept, of course, has benefited security analysts from a data availability perspective. However, it has also created this overwhelming stage where there is so much data that traditional SIEM capabilities are limiting the way how data can be described or analyzed. In this post, I am excited to introduce The Hunting ELK (HELK) to the community. HELK is an ecosystem composed of several open source frameworks working together with the main goal of empowering threat hunters and extending the functionalities of an Elastic ELK stack by enabling advanced analytics capabilities. This post will shortly introduce every component of the HELK and provide a few basic use cases to explain some of the benefits that it could bring to a hunt team. 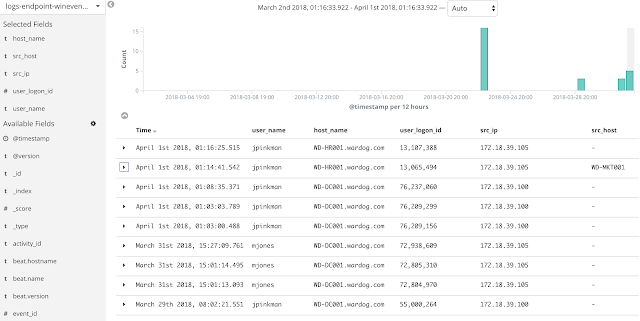 I believe that in order to understand what it is that I am trying to solve with the HELK, it is important to understand what I like and wish I had when using a basic ELK stack (SIEM). Note: Initial basic capabilities similar to the ones used by traditional SIEMs are part of the FREE and Basic elastic subscriptions. You need to purchase the Platinum subscription if you want to start using a few similar (not necessarily better) functionalities that the HELK provides. You can read more about elastic subscriptions and all the great features that you get if you pay here. When I do research at home or test a few things in larger environments, I love to ingest data as fast as it is generated and make it instantly available in my stack for analysis. Elasticsearch has approximately a write rate of 1M+ events per second and default refresh interval of 1 second for data to be readable. Now, I Wish I Had..
What if you could easily run the following query on an elasticsearch database and get results right away? JOIN those events ON equal Process GUID values to enrich the data and get process and network information on the same record. Can you do that in Kibana when working with an elasticsearch database with a flat schema? You might end up with an OR statement for event IDs 1 and 3, and the rest you can see it in the figure below. Not efficient! 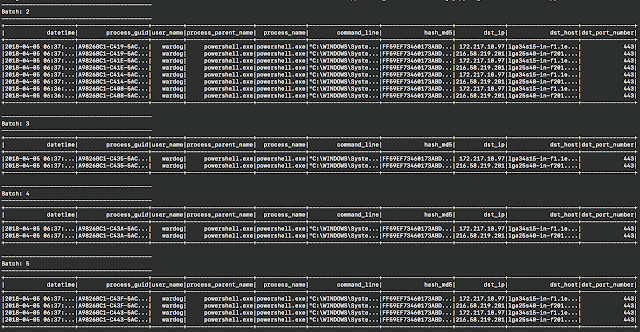 That was just one JOIN query on the same index. Just imagine how it would be across several indices. Elasticsearch is document-oriented and not a structured relational database so it is hard to run even basic JOIN queries across several indices since there is not a concept of a join key. 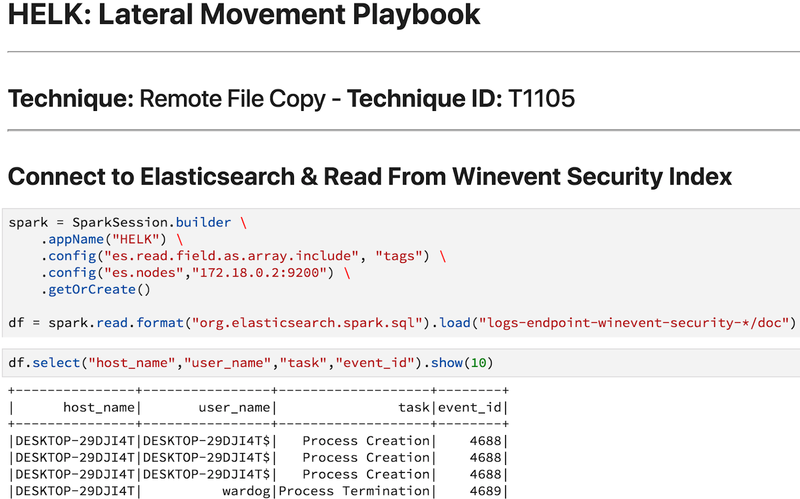 According to elastic’s Query DSL documentation, performing full SQL-style joins in a distributed system like Elasticsearch is prohibitively expensive. One way that Elasticsearch sort of allows you to have a similar concept of a JOIN (not necessarily a SQL JOIN) is via nested documents and parent child. However, it becomes very cumbersome when one tries to use nested queries to accomplish a similar SQL-like JOIN result. You usually end up with a complex hierarchical query where you have to define the parent, the child and other information that makes the operation very inefficient. Elasticsearch apparently is planning on releasing an Elasticsearch SQL functionality in their X-Pack 6.3 public release, but it will be available only starting with the platinum commercial subscription. If you want to learn more about Elasticsearch SQL, I recommend watching this great video by Costin Leau from elastic. 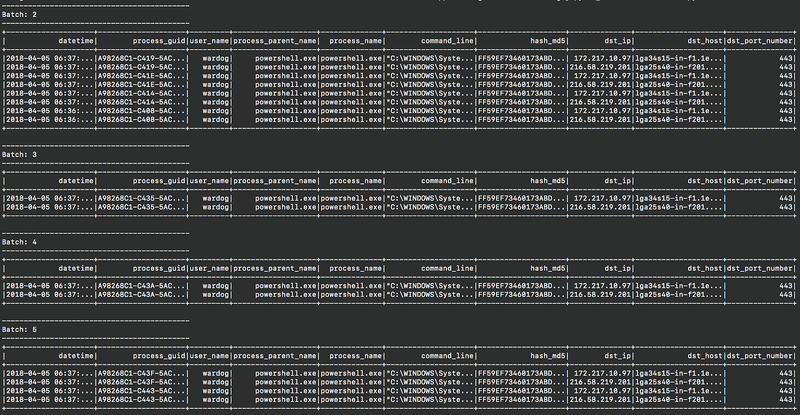 As you already know, finding relational data patterns in an elasticsearch database is not an easy task. As shown before, one could start joining event sources and describe their relationships with the help of SQL-like queries. However, it could turn a little bit challenging defining several JOINs when the data and relationships grow tremendously (so-called join pain). Therefore, I think it would be nice to be able to describe those large data sets via graph algorithms and find structural patterns in a more intuitive way via declarative graph queries. Identify the relative importance of an endpoint or user based on the number of connections in comparison to other endpoints or users in the network. Elastic provides a few graphing functionalities, but only when you install X-Pack and purchase its Platinum subscription. 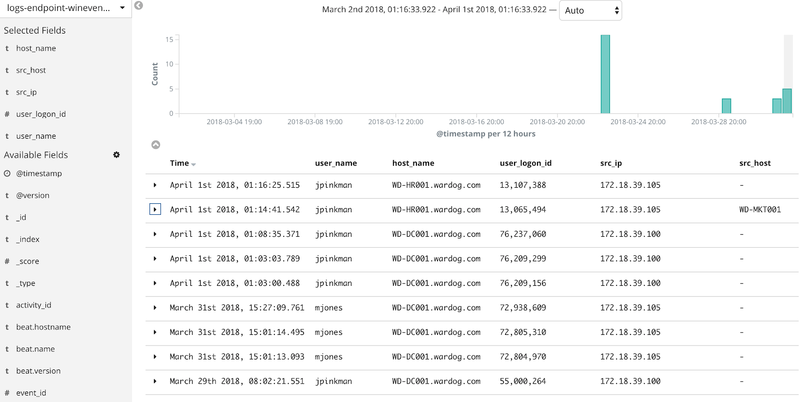 You can learn more about it in the “Graphing Connections in Your Data” documentation in the Kibana User Guide. It does not provide a flexible way to apply graph algorithms or an easy declarative graph query language to define structural patterns. Also, graphing features provided by X-pack have limited support for multiple indices. 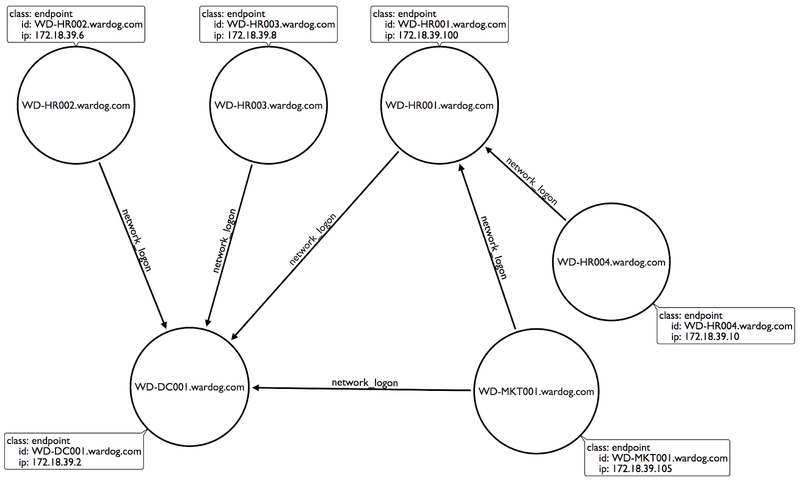 According to the Graph Limitations documentation, the Graph API can explore multiple indices, types, or aliases in a single API request, but the assumption is that each "hop" it performs is querying the same set of indices. Currently, it is not possible to take a term found in a field from one index and use that value to explore connections in a different field held in another type or index. Supervised learning, including classification and regression, where the goal is to predict a label for each data point based on various features. Recommendation engines to suggest products to users based on behavior. Unsupervised learning, including clustering, anomaly detection, and topic modeling, where the goal is to discover structure in the data. Graph analytics tasks such as searching for patterns in a social network. 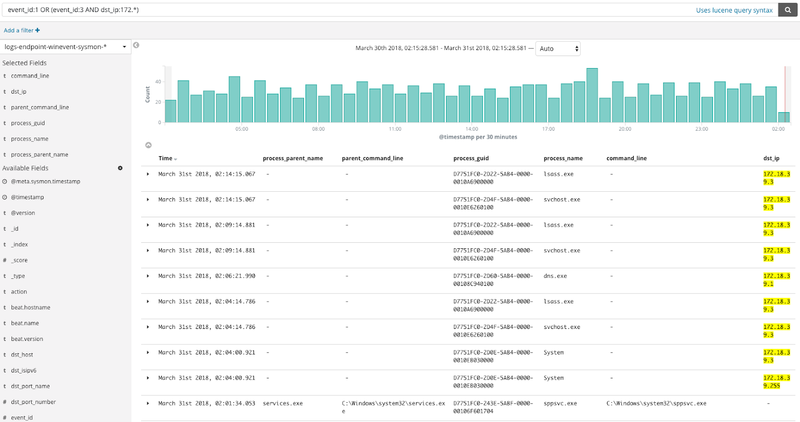 On May 4th, 2017, Elastic announced the first release of machine learning features for the Elastic Stack, available via X-Pack and its commercial Platinum subscription. It is important to mention that the machine learning features of X-Pack are focused only on providing “Time Series Anomaly Detection” capabilities using unsupervised machine learning. Don’t get me wrong, this is great to have!! It just would be nice to have the flexibility even when paying for a commercial license to be able to test additional ML use cases and implementations. Support for a declarative structured language like SQL or for new concepts such as graph analytics and ML on the top of an ELK stack would be great!!! But do you know what would be awesome? If I could also do all that, but in real time and via a distributed streaming engine. According to Chambers, Bill and Zaharia, Matei in “Spark: The Definitive Guide: Big Data Processing Made Simple” (Kindle Locations 11049-11052), stream processing is the act of continuously incorporating new data to compute a result. In stream processing, the input data is unbounded and has no predetermined beginning or end. It simply forms a series of events that arrive at the stream processing system (e.g., credit card transactions, clicks on a website, or sensor readings from Internet of Things [IoT] devices). Looking at our previous JOIN example, it would be awesome to stream-process similar structured queries that we used before as the data flows through the data pipeline and send the results over to an elasticsearch index. Last but not least, one aspect of threat hunting that I feel is being considered more and more in the industry is the fact that it needs structure. Specially, during a hunting engagement, knowing what it is that you are trying to hunt for allows your team to align to the business use cases, priorities and threat landscape. Therefore, I wish I had a way to document and share the methodology I would use to explore and analyze data during a hunting engagement. This would be beneficial even for security analysts that are just starting in the field. In the image below you can see an example of a playbook that a hunter could follow to expedite the time of analysis and transformation of the data. Wouldn’t it be nice to have all that in one framework and in an affordable way (Open Source)? The Hunting ELK or simply the HELK is one of the first public ELKs that enables advanced analytics capabilities for free. Every wish that I had became every reason to start building the HELK. In fact, all the examples shown throughout this post were performed with the HELK. This project was developed primarily for research, but due to its flexible design and core components, it can be deployed in larger environments with the right configurations and scalable infrastructure. Therefore, there are a variety of use cases that can be prototyped with it. The main implementation of this project is Threat Hunting (Active Defense). Spark also has the capability to subscribe to specific Kafka topics, but it uses them to apply other advanced analytics not available in Logstash. Structured streaming is possible with Spark and Kafka. Jupyter Lab Notebook is the default Python Driver for Pyspark (Spark’s Python Language API). Therefore, every notebook created in Jupyter will automatically have the option to use Spark Python language APIs. There are other languages available such as Scala and SQL. The project is currently in an alpha stage, which means that the code and the functionality are still changing. We haven't yet tested the system with large data sources and in many scenarios. We invite you to try it and welcome any feedback. For more details, visit the HELK’s Wiki on GitHub. I would love to make the HELK a more stable build for everyone in the community. If you are interested on helping me accomplish that, and adding some other great capabilities to it, PLEASE feel free to submit a pull request. GitHub Link: https://github.com/Cyb3rWard0g/HELK This is all for today! This was just an introduction to the HELK. I tried to keep it as simple as possible in order to cover most of its capabilities in basic terms. In the following posts, I will be expanding a lot more on the technical details of each component and showing a few use cases via Jupyter Notebooks so that you can try them at home too. I am also learning while in the process of developing the HELK, so I would really appreciate your feedback! !